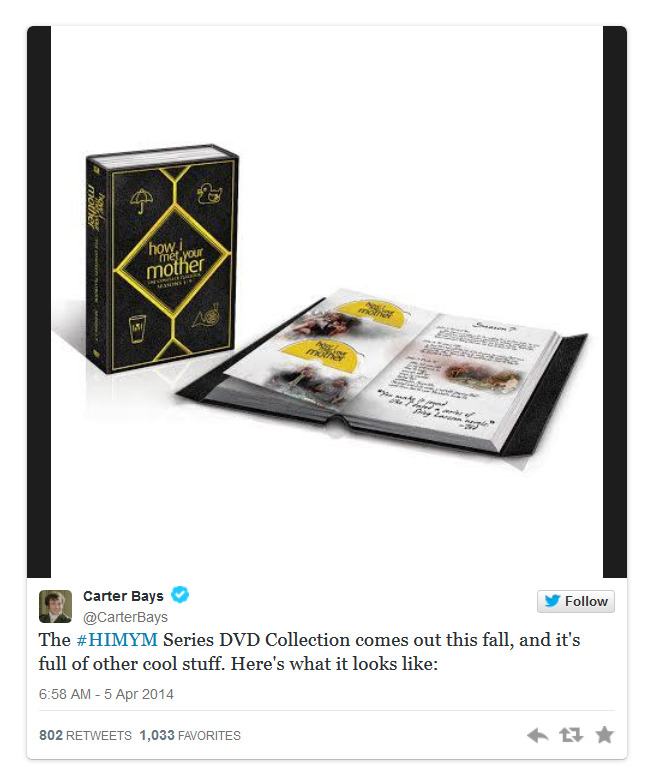 Were you as pissed off at the ending of HIMYM as the rest of the world? I had given up on the series a couple seasons ago only to decide to marathon watch when I knew it was ending and yeah, not a happy camper. Yet I'm still kinda looking forward to watching How I Met Your Dad. I know I know, no good things happen on spin offs, Joey was the prime example but I still want to check it out. Anyway, the creators have decided to release an alternate ending to the series and it will be included in the DVD set when it comes out this fall. I can't tell if this is a brilliant marketing ploy to drive sales. Step 1, piss off the fans. Step 2, tell them if they buy the DVD set, they will get possibly the ending they want. Step 3, sit back and watch the money flow in.